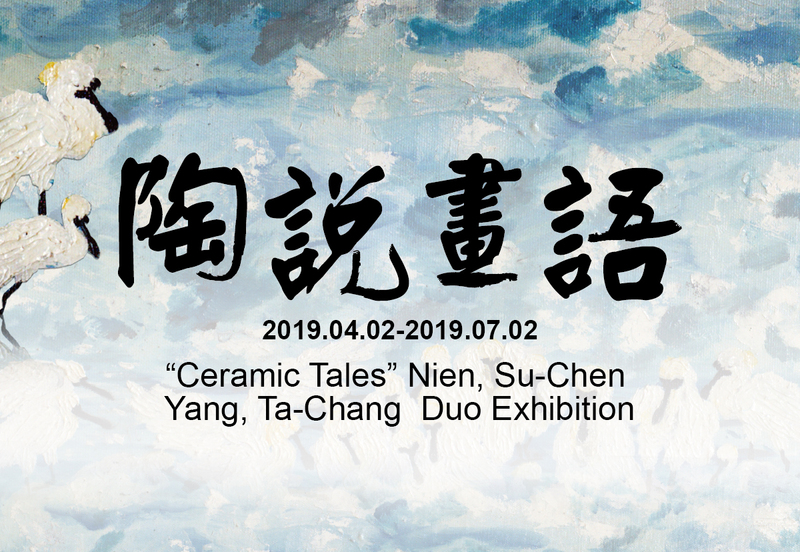 With the theme 'Ceramic Tales' , the exhibition has invited two artists - Nien, Su-Chen and Yang, Ta-Chang - to present their works. Nien, Su-Chen is an artist specializing in integrating applied ceramic craft and oil painting in her works. Meanwhile, Yang, Ta-Chang, the other artist, is keen on studying ceramic craft. Both artists have been dedicated to promoting local culture and participating in comprehensive community development in central Taiwan. In this exhibition, Ms. Nien, Su-Chen starts with her long-term concern for the black-faced spoonbill and uses it in her works, which are displayed on this occasion. In her works, she depicts the habitats of the black-faced spoonbill, capturing their vivid postures. Mr. Yang, Ta-Chang regards local folk festivals and regional culture as the themes. He presents drawings of Sun Moon Lake, the Lantern Festival, and other works. Exhibiting the works of these two artists, it is hoped that visitors can feel the concern and conservation of the natural environment in Taiwan by artists.